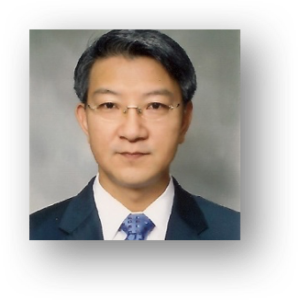 Dr Lee is Distinguished Professor at the Department of Chemical and Biomolecular Engineering, and is Dean of KAIST Institutes, Director of BioProcess Engineering Research Center and BioInformatics Research Center at Korea Advanced Institute of Science and Technology (KAIST). He is also a Scientific Director of the “New Bioactive Compound Section” at DTU NNF Center for Biosustainability. He holds honorary professorships at Chinese Academy of Sciences, Univ. of Queensland, Shanghai Jiao Tong Univ., Wuhan Univ., Hubei Univ. of Technology, and Beijing Univ. of Chemical Technology. With an H-factor of 97 and more than 33,000 citations (Google Scholar), he is author of more than 560 peer reviewed papers, 74 books/chapters and holds 629 patents. He has received numerous awards, including Merck Award for Metabolic Engineering, Ho-Am Prize in Engineering, POSCO TJ Park Prize, National Science Medal, Order of Merit-Red Stripes, and more recently the Best Scientist of Korea Award from President of Korea. He is currently Fellow of AAM, AAAS, SIMB, AIChE, AIMBE, TWAS, KAST, and NAEK. He is also Foreign Associate of both National Academy of Engineering and National Academy of Sciences, USA. He is Editor-in-Chief of Biotechnology Journal, and Associate Editor and board member of numerous journals. His research has been focusing on systems metabolic engineering, systems and synthetic biotechnology, industrial biotechnology, nanobiotechnology, and natural products. The core metabolic engineering expertise has been applied for the high-level production of various medically and industrially important bioproducts, such as C4 metabolites (e.g., succinic acid), amino acids (e.g., L-threonine and L-valine) and polymer precursors (putrescine and cadaverine), biofuels (e.g., short-chain alkanes and butanol) and biopolymers (e.g., recombinant spider silk protein, polyhydroxyalkanoates and polylactic acid). With the appointment as Scientific Director at DTU Biosustain, his research has expanded into the field of microbial secondary metabolites in order to meet the demands for novel antibiotics caused by resistance issues around the globe. Systems and synthetic biological tools and strategies are actively being developed for engineering native actinomycetes and heterologous hosts to discover novel antibiotics and to enhance production.